But when is a sub actually a foot-long? When is a sub-notebook not a sub-notebook? It’s a question you’d be entitled to ask after Asus talked of plans to put a 10inch screened Eee into production. The new Asus Eee 900 sports an 8.9inch screen – significantly larger than the 7inch screen that launched the funky little laptop into the public conscience. But it appears that another inch and a bit could be on the table with CEO Jerry Shen suggesting that – even in the sub-notebook niche – bigger is better. "The feedback we've received from users has been great. Many have asked us for bigger screens and better usability. 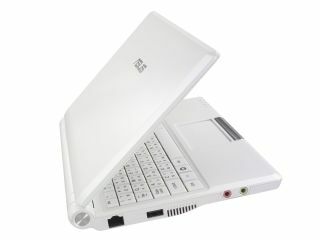 That's what made us start developing the Eee PC 900," Shen told a news conference in Taipei. He went on to suggest that a 10inch Eee was arriving later in the year. Shen insists that anything less than 12 inches is fair game for a sub-notebook, although the bargain basement price of the original Eee is already creeping up and a larger screen is likely to push that even further.